Warning: If you're a nervous flyer, this won't help. On Sunday, Delta Airlines Flight 2412 lost a piece of wing while en route from Orlando to Atlanta. 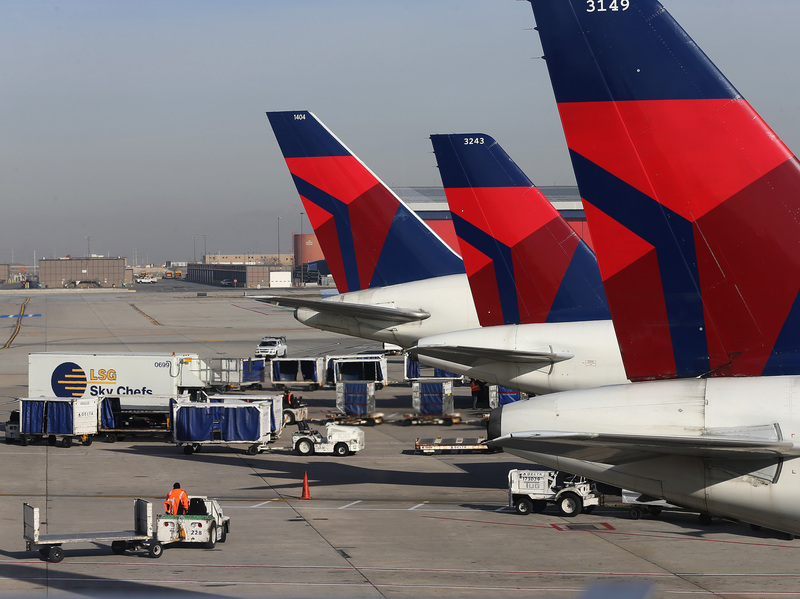 The plane, which a Delta spokeswoman confirmed to be a Boeing 757, was in mid-air when a large panel flew off its right wing, exposing a section of the fuselage underneath. This must have been deeply terrifying for the passengers, particularly whichever unfortunate soul had to sit at the window seat overlooking the damage. As you can see from the photo below, the first thought anyone would've had upon seeing the gaping opening would not be optimistic. Fortunately, the plane was able to land at Hartsfield-Jackson Intl. Airport in Atlanta safely. It's been a pretty bad period for airplane news: The search for Malaysia Airlines Flight 370 is ongoing, and on Thursday night, a U.S. Airways flight blew a tire and skidded off the runway. Now, it'll be interesting to find out what the ultimate cause of the Boeing's wing-problem was, and whether it relates to the age of the 757 in question. It's not unheard of for planes to suffer damage and safely hazards due to so-called metal fatigue, a wearing-down for which which Boeing exhaustively tests. In any event, we're sure air travelers past and present won't be satisfied until some answers appear.